How will VC change in 2019? I’m sure many of our readers are familiar with VC. To keep things simple, Venture capital (VC) is raising money by pitching to them your idea/project to convince them to invest in your company in exchange for your company’s equity. With an increasing number of companies going public, the VC industry continues to evolve. 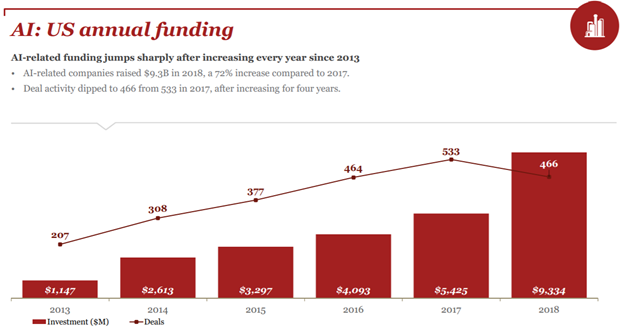 If you are interested in getting funded by VC and curious about how the investment trend will be like for 2019, this article is for you! Before moving forward to 2019’s trend, let’s look backward at last year’s trend. 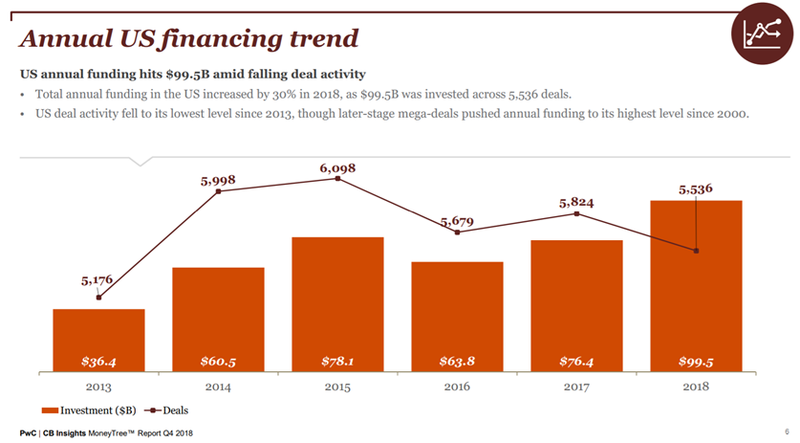 According to a new report gathered by PwC and CB Insights, total annual funding in US 2018 increased by 30% as $99.5 billion was raised across 5536 deals. 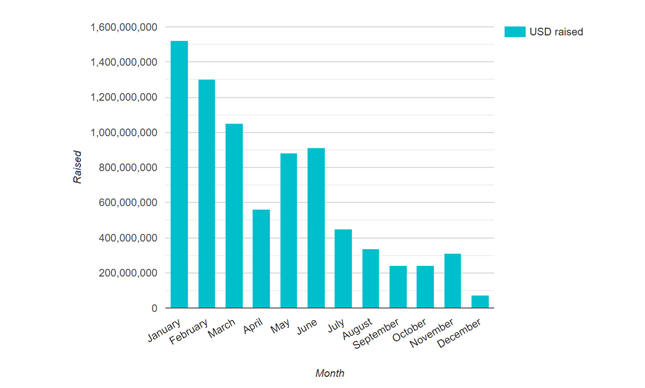 There is no doubt VC investment shows no signs of slowing down. 2018 alone, Unicorns companies (privately held tech start-up valued at over 1 billion US dollar) were responsible for a quarter of the funding in 2018. These include new players such as Lyft, Stripe, and Slack. The trend seems quite optimistic and the following are the top 3 prominent sectors VCs are likely to invest their money in. The global blockchain technology market is projected to be worth $20 billion by the end of 2024, according to Transparency Market Research. Many have wondered is blockchain technology the new internet? It was developed by Satoshi Nakamoto in 2008 to serve as the public transaction ledger of the cryptocurrency Bitcoin. But since then, it has evolved into something much greater. As the name indicates, blockchain is a chain of blocks contains information. The blockchain is a distributed ledger that is opened to anyone. They have an interesting property, once a data is being recorded in the blockchain, it becomes very difficult to change it. So how does that work? The main reason why blockchain is so secure is that the way it’s developed. Each block contains a data, hash and the hash of the previous block. You can compare a hash with a fingerprint, it identifies a block and its data. A hash is unique just like a fingerprint. Changing something within the block, such as data, will cause the hash to change. If the hash changes, it no longer is the same block. Given the third property of a block, hash of the previous block, if you tamper with the data of the previous block, the hash changes and in turn, this will make the subsequent blocks invalid. Hence, changing a block’s hash will consequently result in the whole blockchain being invalid. The blockchain is also being distributed which makes it so secure. Instead of using a central entity to manage the chain, it uses P2P network, so everyone can join. Each computer, or node, has a complete copy of the ledger, so one or two nodes going down will not result in any data loss. It effectively cuts out the middle man — there is no need to engage a third-party such as banks to process a transaction. You don’t have to place your trust in a vendor or service provider when you can rely on a decentralized, immutable ledger. In its latest report, blockchain research group Diar reports that blockchain and cryptocurrency-focused start-ups have raised nearly $7.9 billion in 2018 which approximate to nearly 8% of the total funding in 2018. Various VCs have expressed interest to fund companies that use blockchain to build their infrastructure, especially the ones that store health records and track trademarked and copyrighted licensing rights and content. There are many exciting upcoming projects blockchain has to offer in 2019 such as Aelf, who currently raised $40 million ever since they developed an “operating system for blockchain,” which the project compares to what Linux did for computing. Using an Aelf side chain, any developer can create a customized blockchain designed for a specific purpose. In this way, the project aims to overcome the performance issues faced by other blockchains at the same time as creating a fully interoperable ecosystem. Another very promising project is by BEAM, who currently raised $25 million. BEAM is a next-generation conﬁdential cryptocurrency based on an elegant and innovative Mimblewimble protocol. BEAM users have complete control over privacy — a user decides which information will be available and to which parties, having complete control over his personal data in accordance with his will and applicable laws. Given blockchain is decentralized, many developers are continuously finding new ways to secure privacy. Their project is intending to release enhanced functionality including atomic swaps with Bitcoin, hardware wallet integration as well as mobile wallets on iOS and Android. Privacy enthusiasts have much to get excited about. As you can see, blockchain technology itself is likely to receive more attention from the VCs this year with all these upcoming promising projects. In 2019, we will see privacy and personal data protection trends continuing to grow in importance. This is something we can expect with blockchain, given that a large part of this technology is designed to verify the identity and protect the privacy of people and assets across traditional borders. When it comes to AI and ML, I’m sure many of you are thinking about robots, especially on Terminators and iRobot in the movies. ML is a subset of AI, it is an application of AI that provides system the ability to automatically learn and improve from experience. The main difference between AI and ML are AI works like a computer program that does smart work, while ML is a simple concept machine takes data and learn from them. During the past few years, a couple of factors have led to AI and ML becoming the next “big” thing: First, huge data is being created every minute. In fact, 90% of the world’s data has been generated in the past 2 years. And now thanks to advances in processing speeds, the computer can make sense of all this information quickly. Because of this, tech giants such as Google, Amazon, Apple, and VC have bought into AI and ML by infusing the market with cash and new applications. I’m sure you are aware, or more than likely already on AI tech. No? Think again. Apple Siri, Amazon Alexa, and Google Home. I’m sure these products will ring a bell. That’s right AI is so prominent that it has already infused into our daily lives. 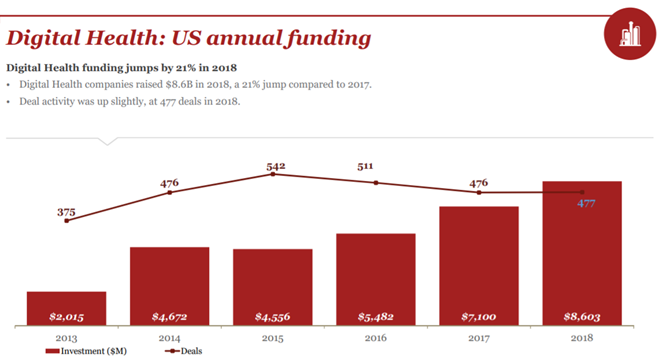 According to a new report gathered by PwC and CB Insights, venture capital funding of AI companies soared 72% last year, hitting a record $9.3 billion, which approximate to nearly 9.3% of the total funding in 2018. Big tech giants like Google, Facebook, IBM, Amazon, Apple, Microsoft, and others have put aside their doubts on AI technology and are actively embracing this new technology. As a result, entrepreneurs smell opportunities to introduce products and services based on AI in the market. In contrast to previous technology waves where Silicon Valley was the undisputed champion of start-up fund-raising, for AI-focused companies, no one location can be claimed as the nexus for investment or start-up creation. There are many exciting projects on AI in 2019. While self-driving cars developed by Tesla is not new to most people, self-driving finance is. Based on the projects that are currently underway with banks, we can expect an increase in the number of customers that will rely on AI to drive their finances. Wells Fargo’s new predictive banking feature, powered by artificial intelligence, is one of several innovations the company is introducing to help customers seamlessly manage their financial lives and improve financial health by analyzing our banking transactions and provide tailored guidance and insights for decision making. To find out more about the top 100 AI start-ups in 2019, click here. In recent years demand appears to be on the rise for health care products and services. What I mean by healthcare is broadly defined as everything from biotech, medical tech, healthcare, and IT services. The sector is fairly large and thus pretty attractive to both angel and venture investors. According to a new report gathered by PwC and CB Insights, venture capital funding of digital health companies increased by 21.1 percent last year, hitting a record $8.6 billion, which approximate to nearly 8.6% of the total funding in 2018. More and more VC is looking into funding biotech start-ups, especially those that leveraged on big data and biotech. According to Forbes, A common misconception of biotech investing is that early-stage companies are riskier to invest in than companies that have products in later stage clinical development. Yet many VCs actively invest in early-stage biotech because it allows them to de-risk the investment process by releasing money in smaller trances, allowing them to avoid investing larger pools of money in later stage biotech which may go toward more expensive risk areas such as regulatory, commercialization, and reimbursement. In the biotech sector, it typically takes millions of dollars to transform an innovative idea into a commercially viable product. Hence, venture capital funding is often a necessity and is critical to the success of a biotech company. The biotech industry is therefore closely linked to the venture capital industry that supports it. Also, recent years more VCs are looking out for start-ups who incorporate AI and cognitive technologies to transform healthcare services. The true value of AI will be found in it working alongside humans to ease the pressure across the healthcare system instead of replacing current healthcare personnel due to process automation. This way, healthcare organizations can offer healthcare services more productively and effectively. From this research, we see that Blockchain, AI, and Healthcare are areas where VC will definitely lay their interest. Whatever the future may hold, emerging AI and Blockchain Technology is making indelible marks in financial markets to health care. It should be no surprise that entrepreneurial startups will be transformed by this technological tsunami and VC love transformation. If you are thinking of starting a tech startup, be ready to embrace the technological tsunami as 2019 is going to be an exciting year for you! Already a tech startup and seeking funding from VC? Check us out here!